Hello hello, and happy 2015! I hope everyone enjoyed their holidays. Did you make any resolutions for the year? I'm not a huge fan of resolutions so I don't have anything planned, but in general I'd like to be more organized with regards to my blogging. We'll see what form that ends up taking, but as of now there are no solid plans. Anyway, enough catching up. Today I have a fun look to share with you that I doodled while I was swatching some of my Ciaté Mini Mani Manor Advent Calendar polishes. Do you ever get the urge to just play around with polish on your nails, no real plan in mind? I don't do it that often (and when I do 90% of the time it looks horrible when I'm done so I just take it off) but this was one of the times when I did and it worked out, so I decided to share. The base for this look is Ciaté London Kiss Chase which is a soft, bright pink polish. I did my doodling with my Black and White Color Club Art Club Stripers, and then did some filling in with Sinful Colors Snow Me White (this was from before I took a break from using all Revlon owned products). I added some black studs for detail and then sealed the whole thing with Essie Matte About You (because I always say everything is better in matte). I love playing around with geometric prints like this. Sometimes they work out and sometimes they don't, but I think it's always good to practice keeping a steady hand for your striping work. That's it for today, thanks for visiting! Let me know what you think! This is lovely! I really love that pink!! These look great! Love that there matte too. 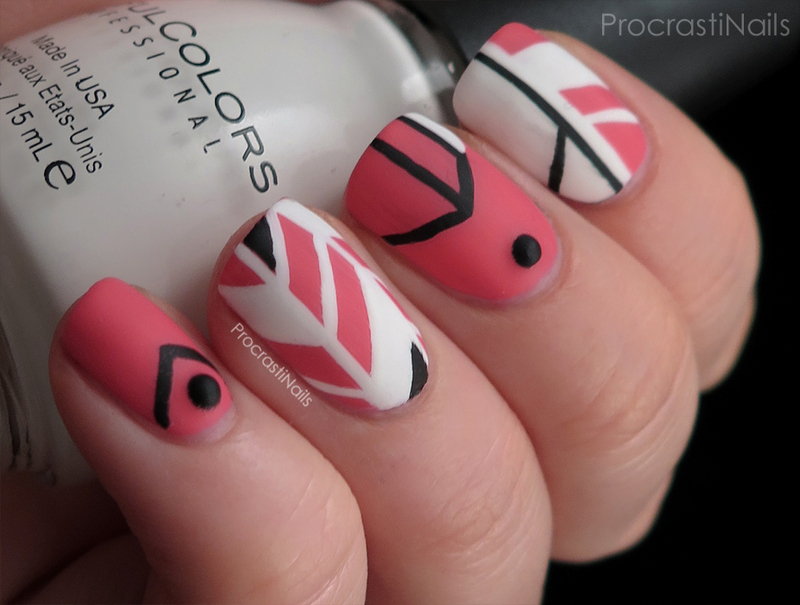 This is beautiful - the pattern on your ring finger is my favorite. YES! Gorgeous! That herringbone pattern on your ring finger is perfection. I love the colors you chose and it looks great matte! lovely! I really like how you did the herringbone print! These are amazing!! I love it!! This looks really cool! I like the ring finger the most! I agree, the matte really adds something special! That matte finish just makes it go BAM in your face beautiful! Pow! 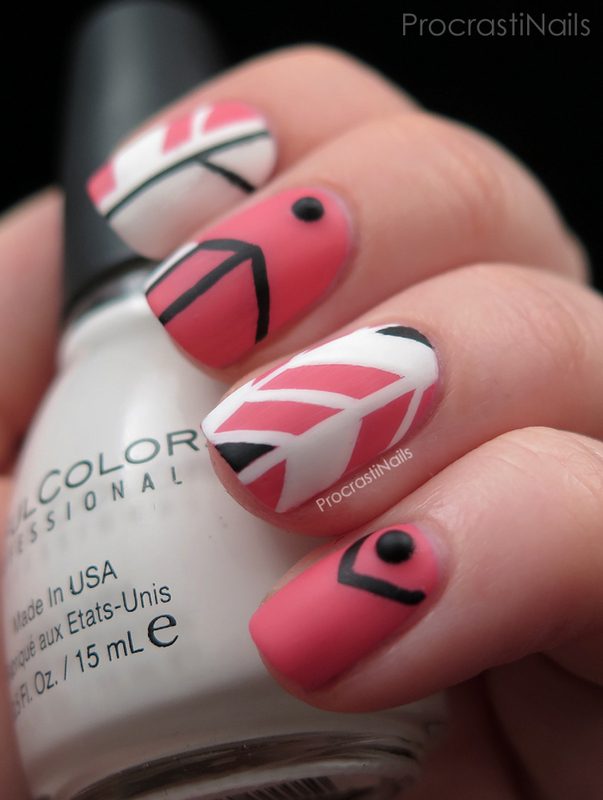 Such a simple design yet totally fab! 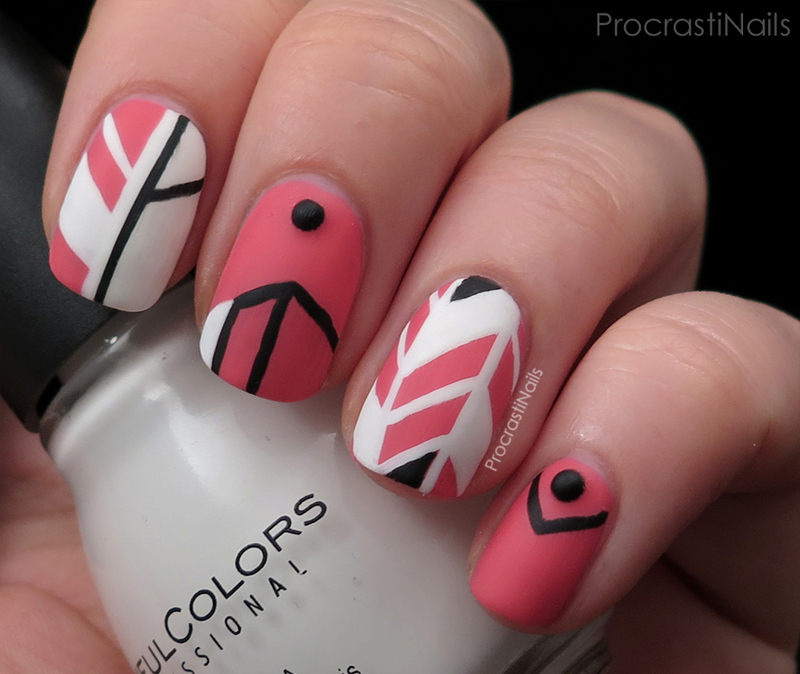 Love the matte on this and the graphic lines! 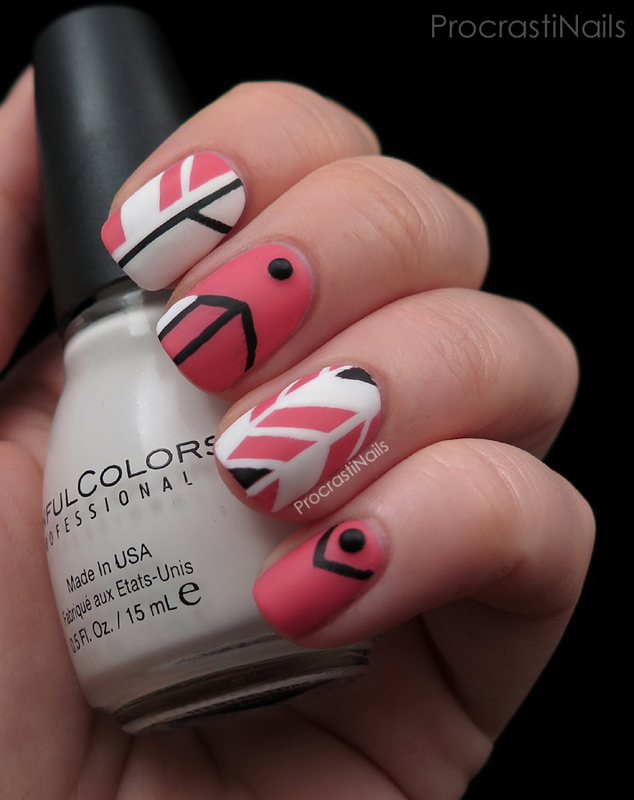 I love the pattern on this and the matte finish just makes everything pop!